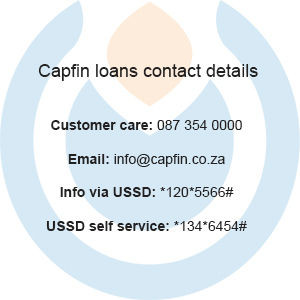 Pep has partnered with Capfin, to offer affordable loans of up to R30 000. Loan solutions offer clients flexibility and convenience, with a repayment term of up to 12 months. Pep Capfin – How does it work? As a loan applicant, all you need to do is visit any Pep or Ackermans store with your valid South African I.D. It will be scanned at the tillpoint and you’ll also need to provide your current cellphone number. There is no need to provide any unnecessary paperwork, bank statements or proof of residence as you would be required to produce with other lenders. Capfin values confidentiality, so clients are sent their approved or declined status discreetly via SMS within 5 minutes of applying. Should you qualify for a loan, a Capfin consultant will call you to discuss your loan as well explain the terms and conditions thoroughly. Your banking details will be confirmed and the consultant will read you the National Credit Act and explain terms to you. You have the freedom to use the loan however you wish. Whether you need to pay for some home renovations, or if you need to pay registration fees for university, Capfin Loans may provide the ideal solution for your needs. What are the benefits of choosing Pep Stores for a loan? Individual loan applications are subject to an affordability assessment, so interest rates are determined on an individual basis. Consultants speak all 11 official South African languages, so you can get assistance in the language of your choice. Pay –outs are quick. As soon as you have been approved, you can expect to receive the loan amount within 48 hours. All existing Capfin customers can apply for a loan via CapfinDirect – effectively eliminating the need to spend hours waiting in line. Pep Stores offers the Capfin 1 month loan. This is a new offering from Capfin Loans and Pep Stores. The institution boasts that this is the lowest-priced 1 month loan, while it also has no monthly service fees. No interest is payable if the loan is repaid within the allotted 1 month period. Once you are logged in online you can asses your daily loan balance. CapFin’s interest rates are deliberated on the daily balance and totalled monthly. All figures listed are inclusive of VAT.